Internationally renowned architect, artist and lecturer Will Alsop approached all his projects and ventures with the unwavering belief that individual and creative design can change and improve lives. Schooled at London’s Architectural Association, Alsop belongs to a generation of modern British architects who follow no single school of theory. His guiding principle is the notion that joy must be allowed to pervade every sector of his work. Alsop recently set up ‘Will Alsop at RMJM’ – a London studio within the international architecture firm. Following parallel research paths as an artist, product designer, film-maker and writer, Alsop’s architecture develops through an inseparable dialogue with sculpture, painting and drawing. He was a tutor of sculpture at Central St. Martins College of Art & Design, London, for several years and has held many other academic posts including his long-term post as Visiting Professor of Architecture (from 2002). 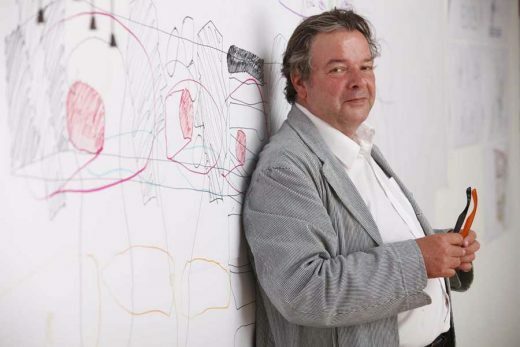 Alsop actively promotes the artistic contribution to the built environment his paintings and sketches have been exhibited alongside his architectural projects in dedicated exhibitions at Sir John Soane’s Museum, Milton Keynes Gallery, Cube Gallery, Manchester and the British Pavilion at Venice Biennale. 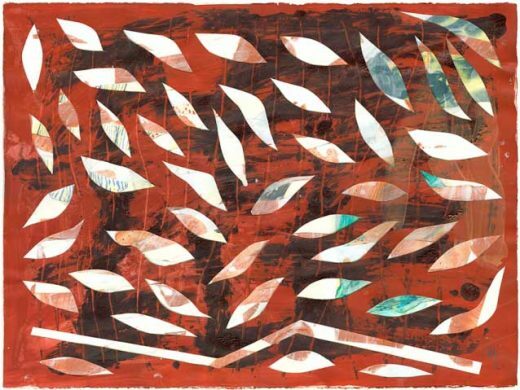 His works have been exhibited by the Canadian Centre for Architecture and the Royal College of Art along with many other prestigious institutions. Paintings by Will Alsop OBE, one of Britain’s most prominent architects and a prolific painter, will go on show this week in a central London hospital. Organised and curated by the Nightingale Project, an organisation which brings the visual arts and music to hospitals, it is the architect’s first exhibition of his paintings in the capital for over seven years. The exhibition of nearly 30 previously unseen works opens on Wednesday 9th December 2009 at the South Kensington and Chelsea Mental Health Centre – where the Nightingale Project has organised over 20 exhibitions since the organisation was founded in 1998. Alsop has been involved with the charity since 2007 as patron alongside celebrated British illustrator Quentin Blake. In the past year, Alsop has led a series of workshops with inpatients at St Charles hospital in North Kensington, where he co-created a set of large paintings which now hang on the ward there. This latest exhibition features work in acrylic on canvas and paper, including work from ‘Four Seasons’ a series of paintings which depict a concept for the inside of a town hall in Italy and ‘Hotel Life’ a special limited edition digital print. 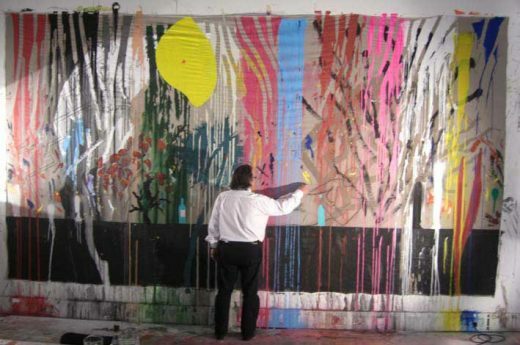 Will Alsop, who recently set up a much publicised architecture studio in Battersea with international architecture firm RMJM, has been vocal about his desire to spend more time on his painting, which often leads to inspiration for his building designs. Painting has always played a crucial role in Alsop’s creative process, with some of his buildings starting life as splash of colour on paper or canvas. He explains: “Some of my paintings result in buildings and some do not. I am interested in what happens when there is no intention. I make no distinction between art and architecture; to me they both begin in the same place. Famed for his bold and colourful approach to design, Alsop has worked extensively across the UK and internationally with major projects in Toronto, Marseille, Hamburg and New York. Recent projects in the UK include the affectionately nicknamed ‘Chips’ building in Manchester and The Public in West Bromwich. Alsop joined forces with international practice RMJM earlier this year to create a new design studio – ‘Will Alsop at RMJM’. The exhibition, entitled ‘A Sense of Enquiry’, will be opened by Stephen Bayley, The Observer’s Architecture and Design Correspondent on Wednesday 9th December 2009 and will run until 26 February 2010 at South Kensington and Chelsea Mental Health Centre, Nightingale Place, London SW10 9NG. The exhibition is open to the public between 8am and 6pm, Monday to Friday, admission free.